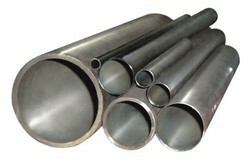 We are the leading manufacturers and suppliers of the Inconel Pipes. We are the leading manufacturers and suppliers of the Inconel Sheets. Precipitation hardenable alloy which gives corrosion resistance and high strength with excellent weldability. Excellent creep rupture strength at temperatures up to 700C. Uses include gas turbines, rocket motors, nuclear reactors and pumps. As your Inconel sheet, plate, pipe, bar, round bar, rod, tubing supplier, we are capable of fulfilling your required sizes. 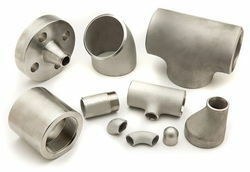 Maharashtra Metal (India) also has a stocking program to support long-term contract for your Inconel needs. Almost complete freedom from chloride-induced stress corrosion cracking. Good resistance to acids, such as nitric, phosphoric, sulfuric and hydrochloric, as well as to alkalis makes possible the construction of thin structural parts of high heat transfer. 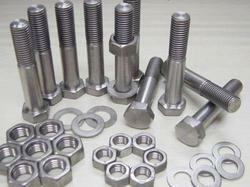 Inconel rods are known for their excellent mechanical properties and resistance to oxidation. Their applications include furnace muffles, electronic components, heat treating equipment, steam generator tubing, and heat exchangers. Components where exposure to seawater and high mechanical stresses are required. Oil and gas production where hydrogen sulfide and elementary sulfur exist at a temperature in excess of 150C. We are the leading manufacturers and suppliers of the Inconel Plates.